This year we honour the 100th anniversary of the Great October Socialist Revolution of 1917 in Russia that left its mark on every corner of the planet for many decades. October demonstrated the working class’s potential and capacity to implement its historical mission as the only truly revolutionary class, to lead the first attempt to construct socialism-communism. At the same time, October shows the irreplaceable role of the guiding force of the socialist revolution, the communist party, the enormous strength of proletarian internationalism. Today, despite the developments since then, we are even more certain and categorical about the timeliness and necessity of socialism-communism.The counterrevolutionary overthrows do not change the character of the era. The 21st century will be the century of a new upsurge of the global revolutionary movement and a new series of socialist revolutions.The daily struggles for partial and more general gains are undeniably necessary, but they cannot provide substantial, long-term and permanent solutions. Socialism remains the only way out. The necessity of socialism is highlighted by the sharpening of the contradictions in the contemporary capitalist world, the international imperialist system. The material preconditions for socialism, i.e. labour power and the means of production, have matured within capitalism itself.Capitalism has socialized labour and production to unprecedented levels. The working class, the main productive force, constitutes the majority of the economically active population. However, the means of production, the products of social labour are privately owned by the capitalists.This contradiction is the root cause of all the crisis phenomena of contemporary capitalist societies, such as economic crises, the destruction of the environment, the drug problem, the long working day despite the great increase of labour productivity, and which of course coexists with unemployment, under-employment, the intensification of exploitation etc.At the same time, however, this reality signals the need to abolish private ownership of the concentrated means of production, to socialize them and use them in a planned way in social production, the planning of the economy by workers’ power, with the goal of people’s prosperity. The theoretical legacy of October, enriched with the experience of the socialist revolutions that followed, is valuable. The bourgeois and all kinds of renegades distort or conceal the importance of the October Revolution because they obviously understand full well that through its victory the theory and ideas of Marxism became a material force that mobilized and continue to mobilize millions of workers all over the world against capital’s power, who were victorious and organized their own state, the dictatorship of the proletariat, which is founded on the direct producers, the working majority, and is the highest form of democracy that humanity has ever seen. The contribution of Lenin and the Bolshevik party was decisive in the confrontation against the section of social-democracy which, violating the decisions of the 2nd International, supported the bourgeois classes of their countries, sometimes by voting for war credits in Parliament, other times by participating in governments that waged wars, supposedly so that there could be a “peaceful development”, defending the “imperialist peace” with a gun to the people’s heads. A political line which inevitably entangled them even more deeply in the imperialist war, in the sharpening of the contradictions and antagonisms of the imperialist states and their alliances. Lenin with the strategic line that he followed determined that from the standpoint of the revolutionary movement of the working class that aims to take power via a revolution, the issue is not a simple “pacifist” opposition to war, but chiefly the utilization of ruptures, which objectively in such conditions, are created in the imperialist camp, the utilization of the weakening of the bourgeoisie in each country with the aim of transforming this imperialist war in each country into a struggle to overthrow bourgeois power that brings death and poverty for the children of the working class and people of every country. These are lessons and experiences that have timeless value for today as regards the organization of the workers’-people’s struggle, when the class struggle is sharpening in conditions of a revolutionary crisis, a revolutionary situation, as regards the organization and expression of the alliance of the working class with the poor popular strata, its natural allies, the poor farmers and self-employed, with the working class in the vanguard, their transformation into a revolutionary forces capable of leading the decisive confrontation against bourgeois power and forming new worker’s-people’s institutions of the new power. The KKE, studying the valuable experience of the October Revolution, came to the crucial conclusion that the definition of the political goal, worker’s power, must be carried out on the basis of the objective definition of the character of the era, something that determines the class movement which is objectively in the foreground of social development. The CP must at the same time take into account and calculate the correlation of forces inside the labour movement, the movements of its social allies, as a necessary element for suitable possible maneuvers, elaborated slogans so that the masses can be drawn to the struggle for power on the basis of their own experience. All the flowers of bourgeois and opportunist ideological constructs bloomed in Greece in recent years of the crisis. There was and still is a lot of discussion in relation to the need to create “left”, “progressive”, “democratic”, “anti-right”, “anti-memorandum”, “patriotic”, “national”, “ecumenical” government (All these names have been used to describe such governments) as an immediate proposal for a way out of the economic crisis and anti-people political line. These proposals are being made both by the traditional and the newly formed bourgeois parties, as well as by parties on the “left” wing of the political spectrum. The labour movement must reject all those traps that aim to manipulate the workers’-people’s struggle and to co-opt the movement. Historical experience has taught us that first “workers’'” and “left” governments emerged from social-democratic parties or as coalition governments of social-democratic parties with other bourgeois parties. There has been no instance in the history of the international labour movement and in the period immediately after World War I in particular, when such governments did not arise as a result of the maneuvering of the bourgeoisie in order to deal with a revolutionary upsurge, in order to assimilate the workers’-people’s discontent in conditions of a very deep economic crisis before or after a war. The goal of such a “left”, “workers'” government in the framework of capitalist power, without a revolutionary overthrow, via parliamentary processes, was later adopted by CPs as an intermediate goal with transitional measures. The aim of this, as they believed, was to facilitate the struggle for socialism and solve some pressing popular demands. However, experience demonstrates that, despite the good intentions of CPs, they were not able to open a window even and certainly not a path to socialism anywhere, and were also not able to stabilize some gains of the people’s movement. This includes the experience before and after World War II and up to the present day. 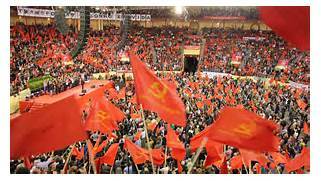 Communist Parties found themselves in the end organizationally, ideologically and politically disarmed. The historical experience and significance of the Great October Revolution is incomparable. It confirms that the salvation of the working class and the other popular strata, in conditions of an economic and political crisis, in conditions of imperialist war, is only possible by overthrowing capitalist power and ownership, which of course presupposes the weakening and complete bankruptcy of its various “left” forms, represented by the dangerous trends of reformism-opportunism and the “governmental left”, as is expressed in Greece by SYRIZA. 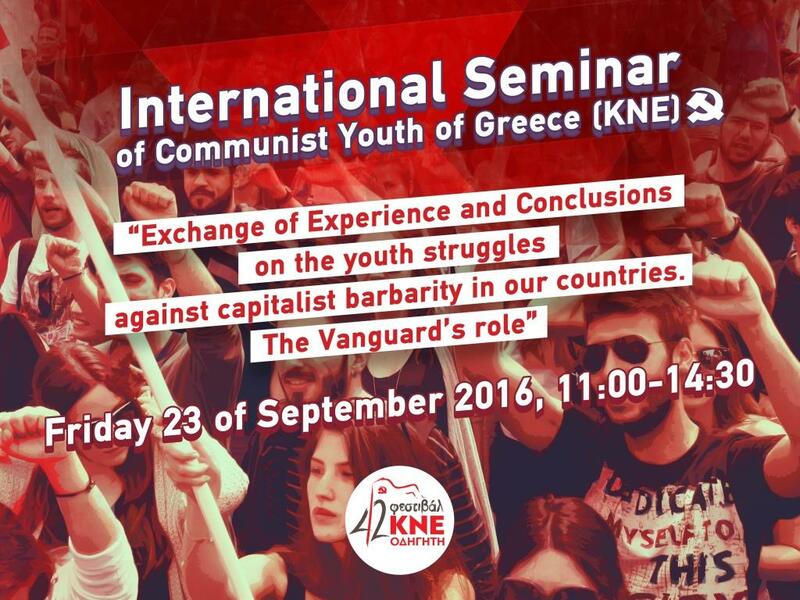 We can refer to an assessment made by the KKE in our Theses for the 20th Congress as we now find ourselves in the European Parliament: The developments after the outbreak of the international crisis in 2008-2009 confirm that the EU and Eurozone are not a cohesive, stable, permanent formation. The policies of the EU cannot blunt the unevenness inside the Eurozone and EU. On the contrary, it reflects the widening of the gap between the member states, The Leninist position that the United States of Europe will either be socialist or will not be able to exist, or if does cannot serve the interests of the peoples and progress. Our party will hold its 20th Congress at the end of March, with as its basic subject the comprehensive ideological-political-organizational strengthening of the party and its youth as a party of revolution. This steeling of the party is a necessary precondition so that we can successfully implement the complex tasks for the regrouping of the labour movement and developing the social alliance in an anticapitalist-anti-monopoly direction, in the struggle against imperialist war, with workers’ power as its goal. This steeling of the party also determines its ability to prepare the people for these tasks in a direction of rupture with and overthrow of the capitalist system. This is even more valid in conditions where everything seems immobile or is moving at a slow rate towards the goal of the workers’-people’s counterattack or even in a period when there are setbacks. Our party has come to the conclusion that the fact that the revolutionary content and gains which came as a result of the October Revolution were weakened due to the impact of trying to solve existent problems of socialist construction in a mistaken direction, by following capitalist recipes, as we often say, a course that chronologically coincided with the decisions of the 20th Congress of the CPSU in 1956, which were expressed in their extreme form through Perestroika in 1985 and the counterrevolution as a whole in 1991. However all this does not change or alter the internal dynamism of socialist construction or even more so the decisive importance of the Great October Revolution of 1917. The scientific explanation and defense of socialism’s contribution in the 20th century is an element that strengthens the revolutionary strategy of the communist movement. Amongst our most important tasks today is to restore the workers’ knowledge about the truth of socialism in the 20th century, without idealizations, objectively and free of the slanders of the bourgeoisie, which are based on the catastrophes brought about by the counterrevolution. Capitalism may still be strong today, but it is not invincible. The capitalist crisis has demonstrated more intensely the historic boundaries of the capitalist system. The imperialist unions, such as the EU and NATO, which are established on the terrain of capitalism and for the defense of the monopoly interests, are not free of inter-imperialist antagonisms, both inside them and with other imperialist powers. Especially in the current phase, during which we must be more concerned about their contradictions, with the emergence of populist, far-right, eurosceptic forces in a reactionary direction in all the countries of Europe, as well as with the election of Trump in the USA. Of course, it remains to be seen how US policy will be expressed after the official inauguration of the Presidency, because the election struggle has other elements, populism. Of course, the USA will continue its imperialist political line, as it is the number 1 economic and military power in the world. However, they are worried about China’s elevation into the 2nd position in the international economy and of course they worry about the balance of trade that is negative for the USA and positive for China. Particularly when China is the number 1 creditor country of the USA, which owes China over 1.5 trillion dollars. So the USA sees China as its number 1 enemy today, which has good relations with Russia which is the second strongest military power in the world. It is our duty as a communist movement to follow all these developments closely, to exchange views, information, to determine a joint stance and activities in relation to the entire international situation and the developments that threaten our peoples. The 20th century began with the greatest offensive launched by the proletariat in any era and ended with its temporary defeat. The 21st century will bring the final and this time irreversible overthrow of capitalism and the construction of socialism-communism. So in any case, the ice has been broken; the road is open, the way has been shown. 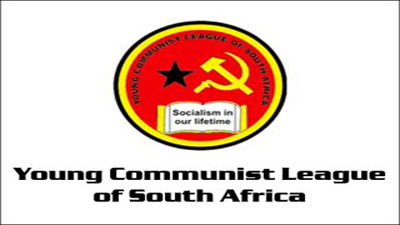 Communist Forum	A Turning Point for South African Politics?